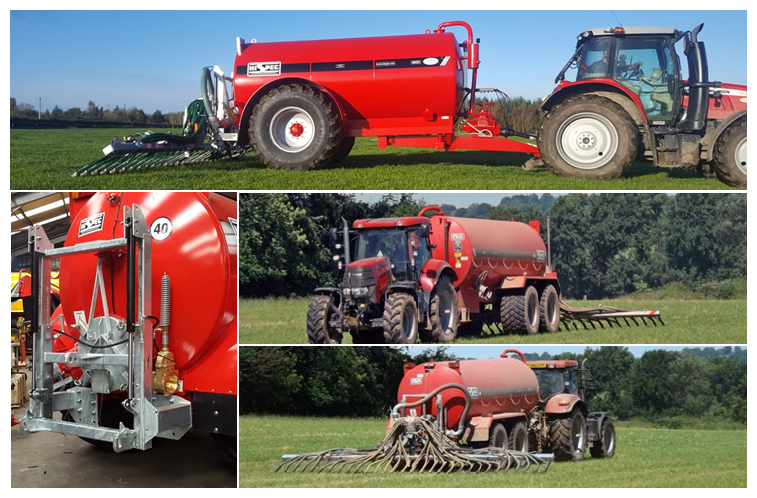 HiSpec offers a trailing shoe system from AgQuip to meet the needs of farmers or contractors requiring a trailing shoe. 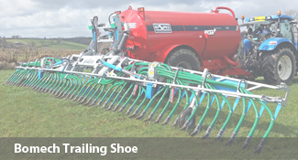 The AgQuip Trailing Shoe is available in either a 6 or 7.5m working width. The trailing shoe is carried on an independent lifting mast on the rear of the tanker. 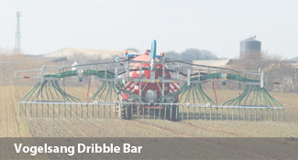 This lifting mast is used to exert downward pressure on the ground and thereby ensuring that the slurry is placed as close to ground as possible. The lifting mast on the rear also allows the trailing shoe to be removed within minutes. The tanker axle is also moved rearwards to accommodate the additional weight of the trailing shoe. A splash-plate is also fitted as standard to provide maximum flexibility to the operator. 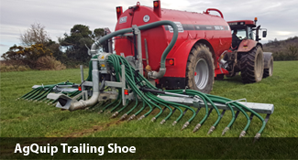 A hardened trailing shoe gently parts the grass sideways and allows the slurry to be placed directly onto the ground via a specially designed rubber boot. The downward pressure is necessary to ensure constant contact with the ground at all times. 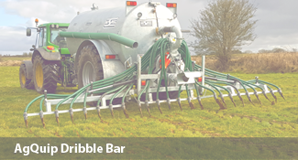 The slurry will be deposited on the ground and this action helps to reduce contamination of the grass leaf. The grass covering will then prevent valuable nutrient loss to the atmosphere, and this leads to a faster up-take of nutrients and reduced grazing turn-around. 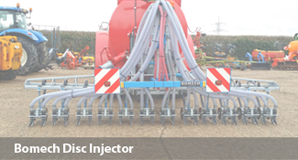 The AgQuip Trailing Shoe comes standard with a Vogelsang Exa-Cut distributor complete with automatic reverse. 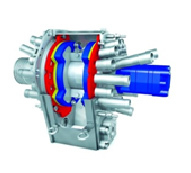 This function is performed automatically by the shoe and ensures that the Exa-Cut wears evenly on the blades and helps to prevent clogging and reduce maintenance. 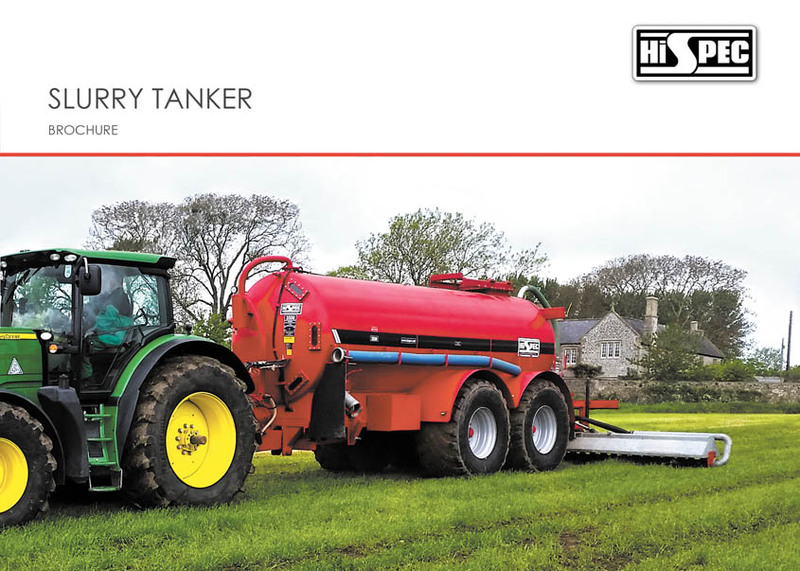 The slurry enters the side inlet of the Exa-Cut and flows directly into the macerator; driven via hydraulic motor, the Exa-Cut then distributes the slurry evenly to the trailing boots. The Exa-Cut is complete with self-sharpening blades, and automatic knife adjustment. In addition, the Exa-Cut is equipped with a heavy material separator, so stones can be easily removed. Folding ends are also possible as an optional extra on the 7.5m shoe to reduce the overall height.